Drinking and driving is not only illegal but it is one of the main reasons for car accidents especially during this time of the year. Having that “one last drink” for the road is as risky as the first sip you took if you’re the driver and it can land you into some serious trouble. Here are a few reasons why drinking and driving is NOT cool. Drinking a lot of alcohol impairs driving skills and your ability to use your common sense, meaning that you can be easily distracted which can cause a serious car accident. If you are planning on having fun this festive season then read this article to stay safe while having fun. Drinking and driving isn’t just an irresponsible decision that you make for yourself, but it also affects other road users. If you’re driving while drunk, you may cause an accident and injure innocent people and the consequences of that are not worth it Choma. Should you be caught driving under the influence of alcohol, you will be in a lot of legal trouble. 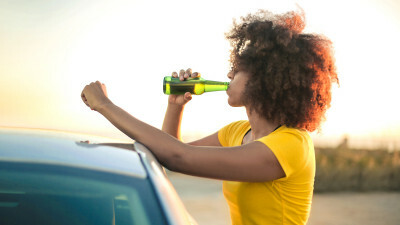 Because drinking and driving is illegal, you could face up to 6 years in jail, have a criminal record (which will affect your future in the long run), have your license suspended or you could be ordered to pay a fine of up to R120 000. Not cool, right? The next time you, a friend or a family member have been drinking while you’re out, make sure that the driver doesn’t drink alcohol. If you are the driver, call a sober friend or family member to come to pick you up or even take a cab. Driving drunk is really not worth putting yourself and others at risk. Choma, I want to challenge you to share this article with all of your friends and family in order to spread awareness of the dangers of drinking and driving.